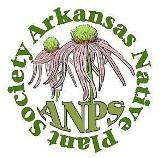 Arkansas Native Plant Society (ANPS) loves to get pictures from our members to post. Please keep sending them in! This beautiful stand of yellow trout-lilies (Erythronium rostratum) is blooming right now at Bell Slough near Mayflower. Yellow trout-lilies grow in moist, rich woods on stream and river terraces and shaded slopes throughout the northwestern half of Arkansas. 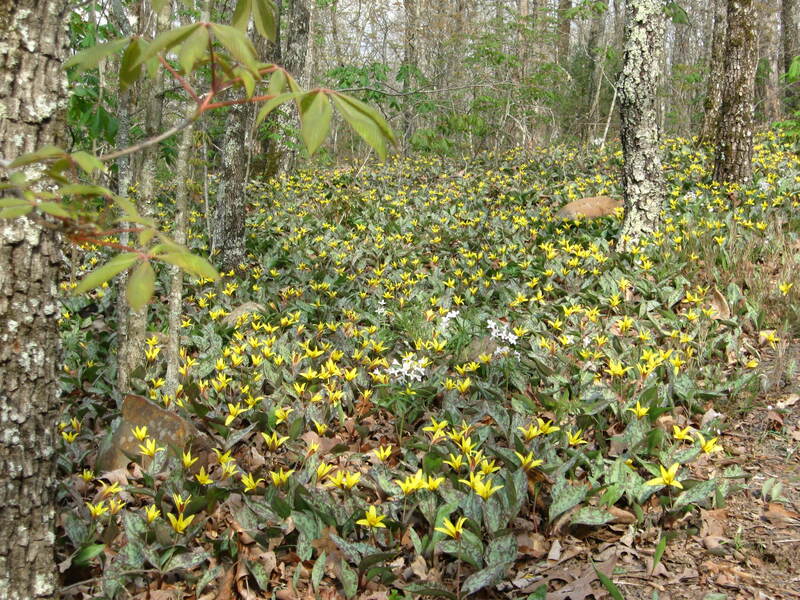 They often grow in large colonies and generally bloom a couple weeks later than the white trout-lilies. This particular species of yellow trout-lily holds its flowers more upright rather than nodding like many other species of trout-lilies. The common name “trout-lily” is likely derived from the mottling of the leaves, in reference to the spotting and mottling of some species of trout. This entry was posted in Native Plants, Plant Alert, Wildflowers and tagged Bell Slough Wildlife Management Area, Erythronium, Erythronium rostratum, Liliaceae, trout-lily. Bookmark the permalink.